Kitchener-Waterloo is a sports town no doubt about it. The sprawling region that encompasses the three cities of Cambridge, Kitchener, and Waterloo have long been one of the most underrated scene in Canadian hoops. They love their Rangers, they love their Laurier football, and they love the game of basketball at all levels. 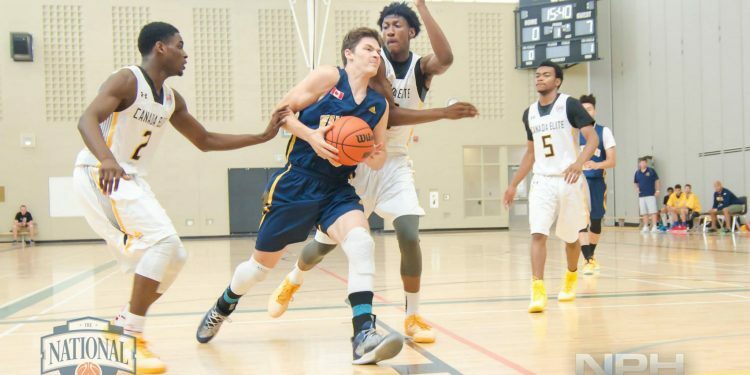 Whether it’s cheering for the KW Titans of the NBLC, or watching the classic rivalry of the OUA’s Wilfred Laurier Golden Eagles and Waterloo Warriors, or any of the multiple amateur programs and prep schools, the tri-cities region has been a Canadian basketball hotbed for four decades. I wrote a piece a few years ago to make the case for a G-League franchise to come to this region, before the Raptors 905 eventually settled in Mississauga. Only a year later did the KW Titans arrive at the Kitchener Memorial Auditorium, and the team will be gearing up for their third year in the NBLC later this year. The Kitchener-Waterloo region doesn’t just have a pro team though, their system has also produced arguably one the best prospect to ever come out of Canada, without ever spending a single day in an American prep school, that of course is Jamal Murray. The 2017 NBA Rookie/Sophomore MVP has created quite a name for himself in his pro career. It was in KW where he first played for Grand River Collegiate, a well known sports school in the region nestled nicely in Heritage Park just west of Highway 7, before moving on to one of the top north American academies in Orangeville Prep. But Murray could very well just be the beginning. With the influx of immigration in the past two decades that has brought so many new Canadians to the region that have an interest in basketball before all else, the coaches of this region have been jumping at the chance to teach the game to eager new students. One such coach is the current Assistant coach of the Wilfred Laurier Eagles and Vice President of the KWYBA, Alex Urosevic. “I was very fortunate to have an older brother(Bob) who played University basketball. He always took me to the gym to work on my skills and made the drills fun, competitive, and tough to do. I was also very lucky to get into pick up games with older players when he brought me along, it forced me to get better and learn to compete.” Says coach Urosevic when asked about how he got into the game. Being in that tougher environment with older players paid off for coach Urosevic, as he was rewarded with a scholarship offer to play at Stetson University in the Atlantic Sun Conference from 1988-1990, then transferring back home to the University of Waterloo for the remainder of his collegiate career. Having that experience in America, while currently being a coach for a U-Sports program in such a tough conference as the OUA, has given Urosevic a unique perspective he has been able to pass on to any players looking to join the NPH Showcase this weekend at Huron Heights Secondary School. “I would tell kids who go down to the United States to be prepared to study, compete everyday and work on developing your skills and physical abilities. Also enjoy the experience of playing basketball and going to school because it goes by quickly. I would also tell kids that if they choose to stay in Canada, to pick a school that fits their academic aspirations and basketball abilities. If you are happy with your school choice you will probably have a very positive experience playing basketball.” Says coach Urosevic. Urosevic also stressed the importance of taking what players have learned, and to apply it any time they step on the floor to get the best results from their game. Finally, the Golden Eagles alumni brought up the value of having top level coaches around the gym, such as himself, to get a chance to see which local players out of this basketball hotbed could pass the eye test for the next level. The Kitchener-Waterloo showcase will begin tomorrow at Huron Heights Secondary School.